Hello. If you have just found FREESCORES, you are in for a treat....free music....free playalongs, and a variety of styles from orchestral to funk to suit your every whim. 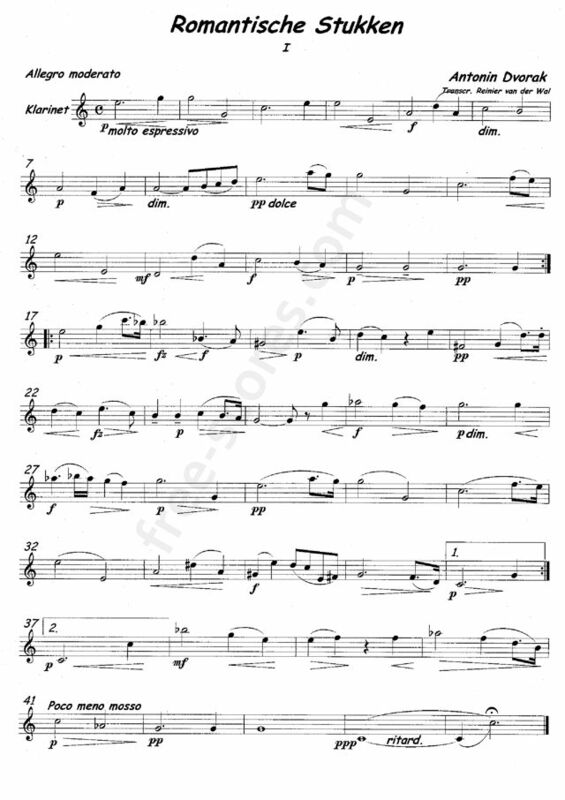 This selection I am playing, ROMANTISCHE STUKKEN I arranged by REINIER VAN DER WAL is one of many that you will find in this site....be sure to browse the many selections....and to hear more of my FREE MP3s visit my website at lenandersonmusic.com. THE PIANO ACCOMPANIMENT TO ANTONIN DVORAKs ROMANTISCHE STUKKEN I....NO REPEAT ON THE ADDED DC.....enjoy. Hello. If you have just found FREESCORES, you are in for a treat....free music....free playalongs, and a variety of styles from orchestral to funk to suit your every whim. 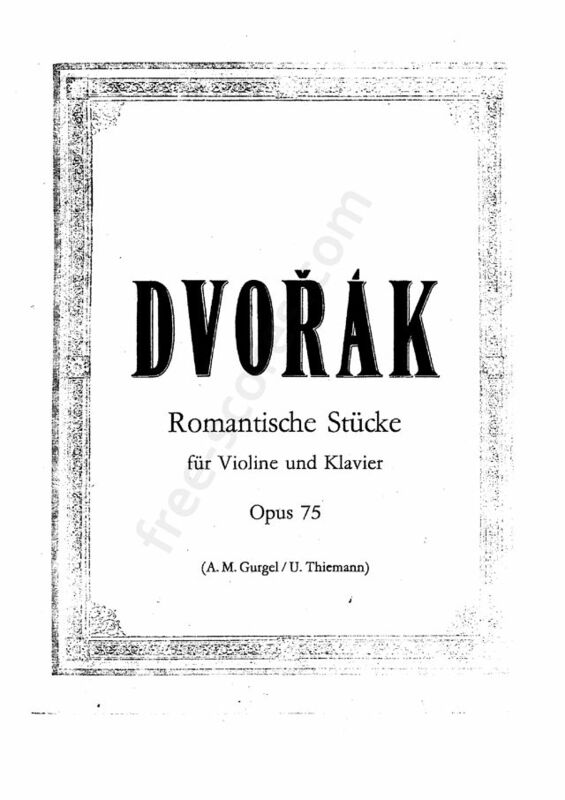 This selection I am playing, ROMANTISCHE STUKKEN III, arranged by REINIER VAN DER WAL is one of the many that you will find in this site....be sure to browse the many selections...and to hear more of my FREE MP3s visit my website at lenandersonmusic.com. THE PIANO ACCOMPANIMENT TO ANTONIN DVORAKs ROMANTISCHE STUKKEN III....8 PREPARTORY BEATS>>>>>NO REPEAT ON ADDED DC.....enjoy. 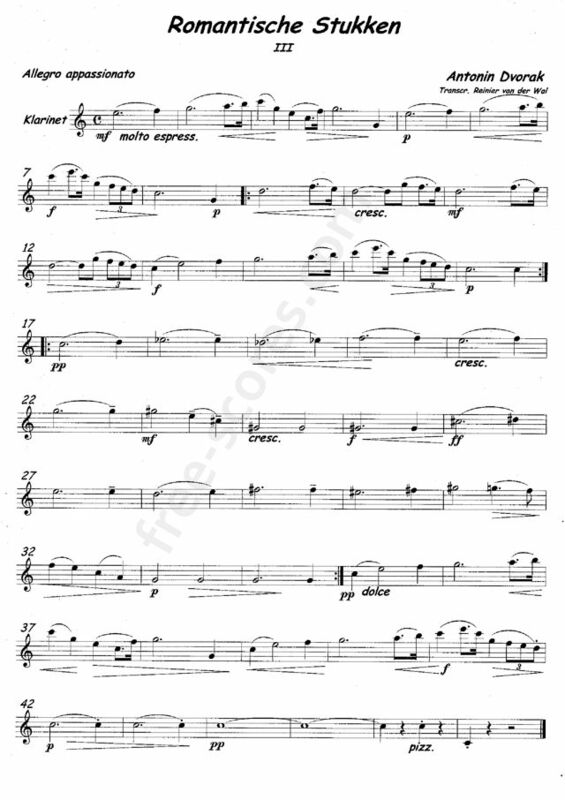 A very pretty piece of music. Especially nice since I play both clarinet and violin and am learning trumpet. I can use this arrangement on all three instruments. Thanks.